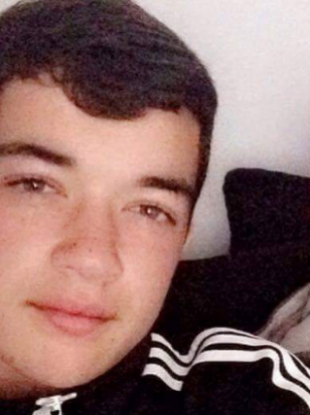 OVER €1,000 HAS been donated to cover the cost of Tallaght stabbing victim Reece Cullen’s funeral following an online appeal. In the space of two days, €1,100 had been collected, more than the target that was set. A teenage boy was arrested by gardaí in the aftermath of the stabbing. He has been released without charge and a file is being prepared for the DPP. He presented himself to Tallaght garda station and was in the company of his mother at the time. It is believed Cullen was stabbed in the chest following a dispute at the house. He had lost his mother to suicide in September and was finding it difficult to cope, according to locals. Gardaí are now searching for another teenager they believe to have been involved in the fatal stabbing. They are investigating whether Cullen’s death was due to a local dispute between two groups of teenagers. Cullen had also received a number of threats prior to his death and the two groups of teens had clashed a number of times over the past three months. Reece will be buried on Wednesday. The donation page can be found here. If you have any information about the incident, contact Tallaght garda station on 01 666 6000, the garda confidential line at 1800 666 111 or any garda station. Email “Community collects enough money to carry the cost of Reece Cullen's funeral ”. Feedback on “Community collects enough money to carry the cost of Reece Cullen's funeral ”.